An exclusive, short luxurious tour based in Braemar, in the Scottish Highlands. 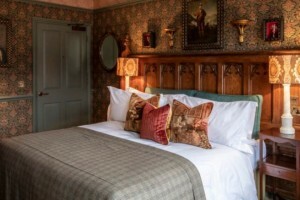 Your stay in a hotel built in the 19th century, a category B listed building with amazing arts and crafts. The Royal Suites are inspired by some of Braemar’s most noble visitors. With views over the surrounding landscape, the suites are richly furnished with antiques, artwork and objects that once belonged to these historic figures. 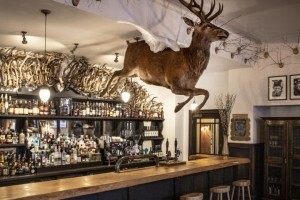 The Flying Stag is the hotel’s bar and has classic Scottish dishes, real ales and a selection of over 180 whiskies. When this tour ends, we will need to drag you away! Day one We start either in Glasgow or Edinburgh with a whisky in your hand, we head to the Highlands, first stopping at Edradour Distillery. We know the owner Andrew very well, we know you you will enjoy drams here. Then time for lunch in local pub in Pitlochry (a Victorian tourist town) before checking in to the fantastic 5 star Fife Arms Hotel, Braemar. Retire to the bar and relax with a whisky or four, see you tomorrow. Day two after a fully cooked Scottish breakfast we head along to The Victorian village of Ballater. In the early 14th century the area was part of the estates of the Knights of St John but the settlement did not develop until around 1770. Then we visitRoyal Lochnagar Distillery, on the Warehouse Experience. Ideal for the whisky veterans, this unique experience gives you the opportunity to taste samples straight from the cask during a tutored tasting. Time for lunch locally before stunning scenery en route to Tomintoul Distillery. 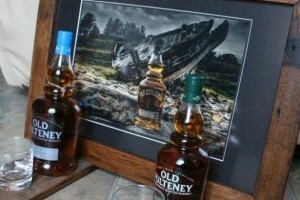 Master Distiller, Robert Fleming’s family has been making whisky in the Speyside Glenlivet region for four generations. After your tour we head back to Braemar. Another excellent day, now retire to your superb hotel once more, more drams anyone? Day three today – Perthshire whisky day. We drive south over high glens and mountains to Pitlochry again, first stop Blair Athol just to sample drams at the bar. Then we go to Aberfeldy for their Connoisseur Tour, great drams. The tour includes the heritage centre, distillery tour and warehouse, a dram from the cask, free blender’s tot glass and a tasting tray of 5x15ml drams. Time for lunch in a local pub. On the return we drop into Dalwhinnie Distillery, not for a tour but to pair whiskies and chocolates. Then Braemar for a final night. Day four driving back to Perth, we call into a whisky shop just in case you need bottles! From here to Tullibardine Distillery for a tour and taste of their complete range. Then time for lunch at the famous 5 star Gleneagles Hotel or a pub, your choice. Sadly your tour with us ends today, unless you have booked a longer itinerary, we head back to either Glasgow or Edinburgh. We hope to see you again soon. £1350 per person sharing, based on a group of four. Complimentary drams each day in the car. The tour can be for any number of guests or adapted to suit you, please just ask us: liz@mcleanscotland.co.uk Not available for the Braemar Games, Christmas or New Year.